British humor has held a distinctive place amidst global comedy. Its deadpan trait and cultural representation of British life have placed it amongst the top comedy industry in the world. It has produced several renowned comics like Ricky Gervais, Rowan Atkinson, Sacha Baron Cohen, Steve Coogan, John Cleese, among many others. One of the prominent products of the British comedy industry is Eddie Izzard. The stand-up comedian has been active professionally since 1982 and built a successful career since then. He is also a political activist. Learn more about Eddie Izzard by reading below. Eddie was born on the 7th of February, 1962, in the Colony of Aden, known today to be Yemen. He is one of two sons born to his parents, Dorothy Ella and Harold John Michael Izzard. Before Eddie was 10 years old, he had lived in Northern Ireland and Wales. He was raised in the latter – Skewan, West Glamorgan in Wales, alongside his brother. As a child, Eddie suffered the unfortunate tragedy of losing his mother to cancer at the age of six, leaving him with a busy father and no mother to take care of him. Eddie would be enrolled in a boarding school – St Bede’s Prep School before moving on to Eastbourne College. He had his university education at the University of Sheffield, South Yorkshire, England. It was while he was at the university that he began to explore comedy as a performing interest. Eddie Izzard, who was in Sheffield studying Accountancy, following in his father’s footsteps who was an accountant for British Petroleum, decided to drop out along with his friend, Rob Ballard. The two went on the road trying to hone their craft as comedians. Not long after University, Eddie and Rob went their separate ways and so Eddie spent the early 80s, working alone as a street performer. He had his first stand up comedy gig at a small bar in London, Banana Cabaret. After years of honing his materials and learning the ropes of connecting with his audience, he got his big break in 1991 after he performed Raised by Wolves, a sketch on the Hysteria 3 AIDS benefit. After the performance, Izzard cemented his place among British comics. With television shows and the existence of the comedy genre in film, stand up comedians often make the transition to film and television. The case was no different for Eddie Izzard. He made his onscreen acting debut in 1994 for Open Fire. Since then, he has acted in several films and television shows including Ocean’s Twelve, Ocean’s Thirteen, Cars 2, Mystery Men among others. Eddie Izzard’s acting endeavors are not just limited to the front of the camera. He is also a theater man who has appeared in plays like Edward II and Trumbo. He made his debut in 1994 for The Cryptogram. 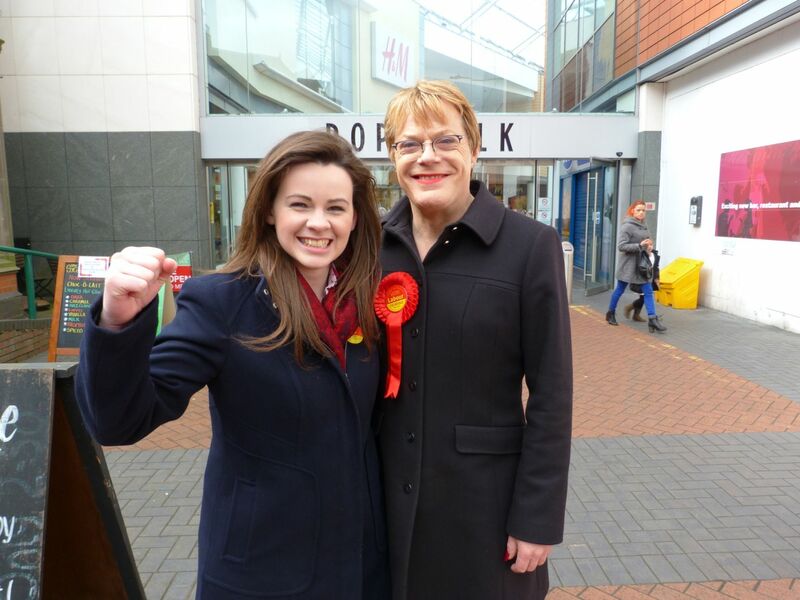 Other than comedy, Eddie Izzard is a fairly known politician and activist. He is a big supporter of the Labour Party in the UK and a pro-European Union campaigner. He is also a philanthropist who regularly commits his time and body to raise money for various charities. Highlights of his philanthropy include running marathons for Sport Relief. He has also received several honorary Doctorates from various institutions. Eddie Izzard is a transgender and identifies as such. He is known to regularly cross-dress on stage and in real life and he says he discovered he was transgender at the age of four. Eddie also describes Caitlyn Jenner as a role model for those who are still hiding in the closet. Eddie speaks multiple languages, aside from his native language, English. He speaks German, Spanish, and French. He adopted and performs with the languages as part of his effort to increase cultural integration and tolerance. He received his first honorary doctorate as recognition of his work in promoting modern languages. Eddie released his first and only book so far in 2017. An autobiography titled Believe Me: A Memoir of Love, Death and Jazz Chickens. Eddie is publicly atheist. He mentioned he discovered he is an atheist in 2008, however, he considers himself a humanist and has been recognized by a number of humanist organizations for his contributions to the belief and lifestyle. Eddie Izzard is a fan of the English Premier League Club. He became an associate director of the club in 2012. Comedians usually have an act that inspires them or after whom they model their own act. Eddie’s role model is the comedy sketch group, Monty Python. His love and similarity to the group once earned him the nickname “Lost Python” by John Cleese.